Simon Says Father’s Day/For A Guy! Thank you for joining us for the Mask It Challenge and we hope you will all join us again this week too. My card is for a guy! I have used Strongman Stamp Set from Tim Holtz. I black heat embossed the image on watercolour cardstock. 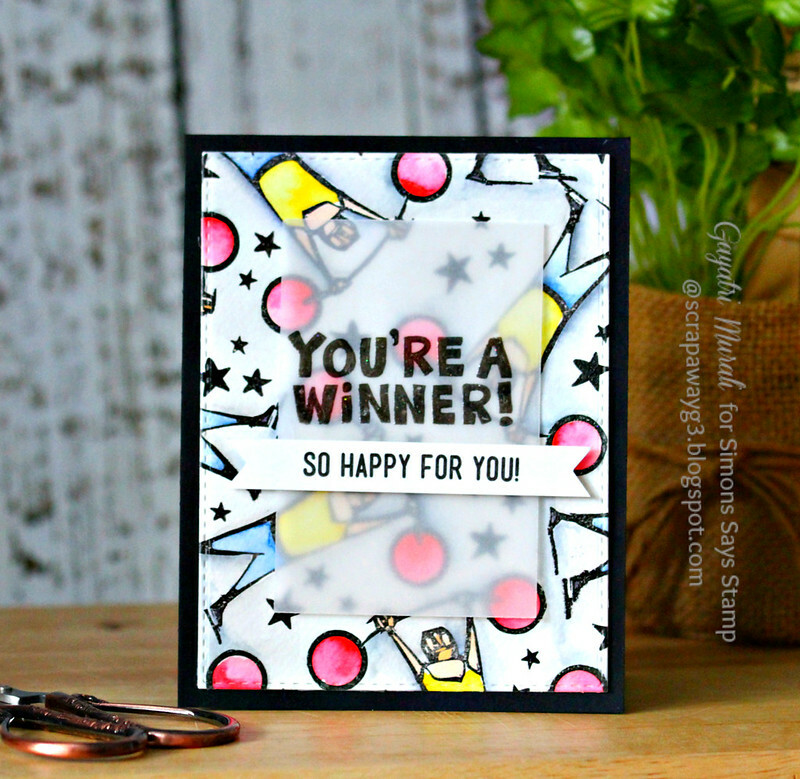 I filled in the empty spots with stars from Simon Says Stamp Birthday Bits stamp set. I used Zig clean brush markers to colour the image and background. 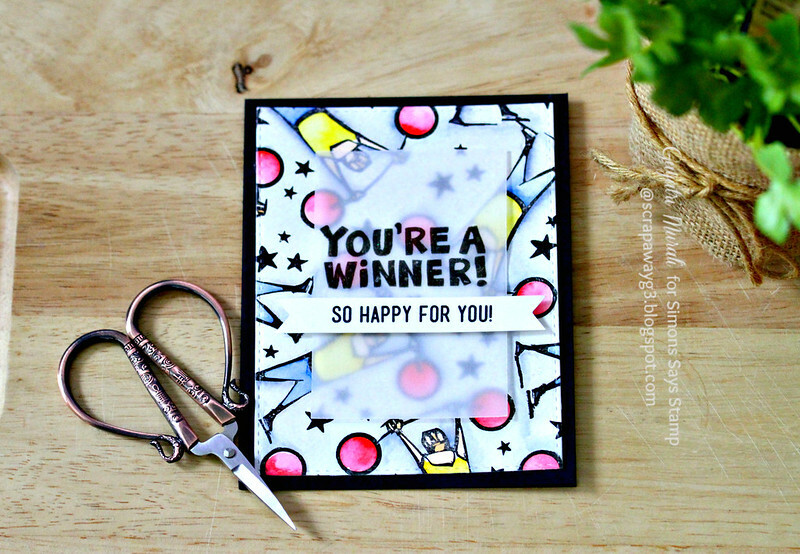 This panel is die cut using the largest of the stitched rectangle die from Stitched Rectangle die set from Simon Says Stamp and adhered to black card base. 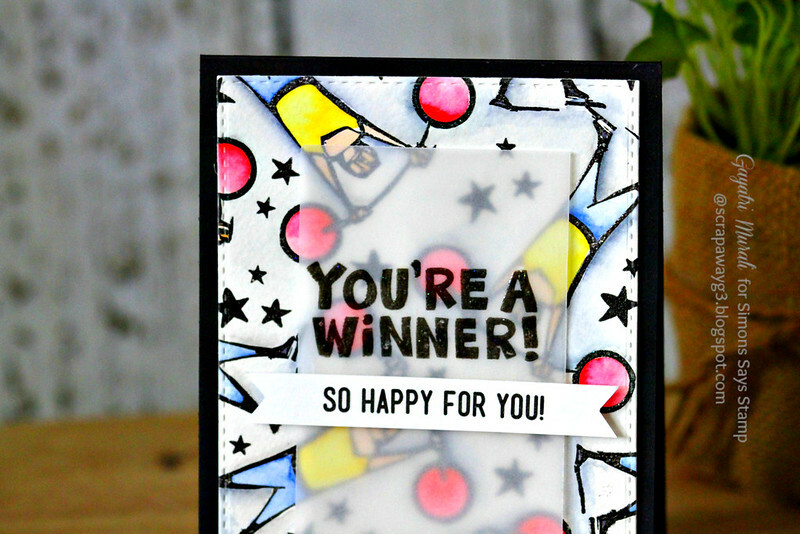 For the focal point, I black heat embossed the sentiment from Simon Says Stamp All Boy stamp set on a vellum panel. The secondary sentiment is stamped on a strip of white cardstock, trimmed fish tail ends and adhered to the vellum panel using foam adhesive. This second stamp set is an older set now discontinued. You can always substitute with another. Note: I haven’t used any embellishments. I didn’t feel that this card needed them. This is brilliant – I love the vellum over the background – gorgeous.